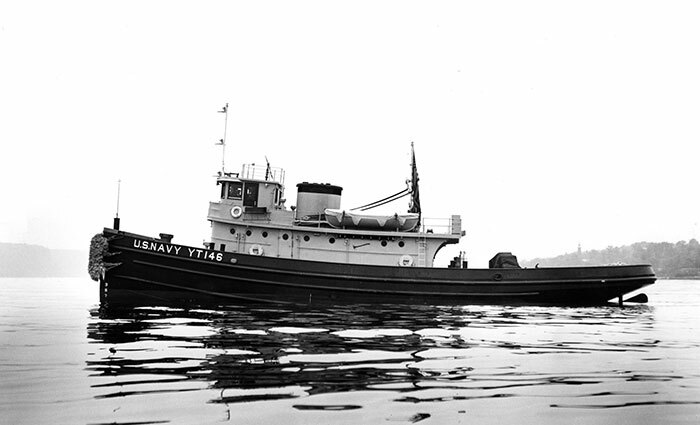 On December 7, 1941, the USS Hoga (YT-146), a Woban-class district harbor tug, was moored with other service vessels along drydocks when the first wave of bombs rained down on Pearl Harbor around 7:50 a.m. Hawaiian time. She spent the next seventy-two hours following orders to assist in any way she could, including pushing the sinking USS Nevada to safety. Now Hoga, the last floating Navy vessel that was present in the harbor during the attack, lives in—of all places—the Arkansas Inland Maritime Museum in North Little Rock. The Navy donated Hoga—declared a National Historic Landmark in 1989—to the museum, where she arrived last year, partially because of Arkansas’ central location, which is accessible to more Americans than Hawaii. “It was a feat to get Hoga here,” says Allison Hiblong, the museum’s director of operations. “She had to be heavy-lifted onto another ship to be transported from California, through the Panama Canal, and up to the Gulf of Mexico.” Another reason: the museum is already home to USS Razorback, a submarine that was present in Tokyo Bay during the formal surrender of the war, providing a rare naval-history bookend to World War II. This week, the museum is hosting “Arkansas Remembers Pearl Harbor” through December 11. Commemorative events will include a ceremony on Wednesday, December 7, at the local time of the attack—the centerpiece of the week, according to Hiblong. “More than 400 men from Arkansas served in Pearl Harbor,” she says. “We are hoping to have two out of the three Arkansas Pearl Harbor survivors in attendance, along with World War II veterans,” she says. 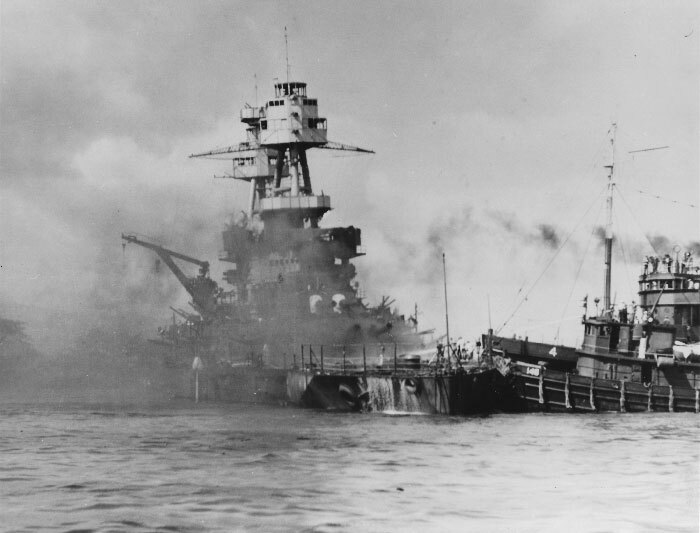 Hoga (right) pushes the USS Nevada to shore on December 7, 1941. Visit the museum’s website for an itinerary of next week’s events.